A lot of discussion surrounds the need for condition assessment of existing infrastructure in order to properly prioritize the work that needs to be done to rehabilitate our water and sewer pipelines. The fact is that a lot of existing pipelines are in workable shape with decades of service life left to give, but it is sometimes difficult to tell which ones. We don?t want to go in and replace a pipeline that is still in good shape, but we have no real good way to know which of them need to be refurbished next. Most of our prioritization results from the fact that some pipeline or other is giving us problems, and we are more reactive than proactive. Another aspect of asset management has to do with the pipes we put in the ground tomorrow ? the ones that will replace those pipelines that we have decided are no longer giving us an acceptable level of service. How do we ensure that these newer pipelines will provide an appropriate service life ? one that allows us to plan for the future and to be ready when it is time to provide new service? When we talk about the condition of our existing water pipeline infrastructure, we are often talking about iron pipe. The results of a survey in 2002 conducted by the American Water Works Association (AWWA) that asked water utilities what kinds of pipe they have in their systems indicate that some 67 percent of existing pipe was found to be either cast or ductile iron pipe. And, with cast iron pipe, much of it has been in service for a long time. In fact, there are at least 630 utilities in the United States and Canada that have had an iron pipeline serve for at least 100 years, and more than 20 of those utilities reported that iron pipe have been in service for 150 years or more. It is remarkable to consider that such pipes have served so well and for such a long time, given the nature of the engineering, joints, metallurgy and manufacturing techniques available at the time. One hundred years ago, there were no AASHTO H-20 traffic load models to use, or the modern bell-and-spigot push-on joints that are easy to install and effective in making ductile iron pipelines the bottle-tight conduits that they are. Corrosion was not a consideration, nor could the engineers of that day ever imagine the demands that would be placed on some of those pipelines decades after they were installed. What this means is that age itself is not the determinant when attempting to discern which pipe to replace next. Other criteria may be more important, such as the nature of the environment into which those pipes were placed and whether that environment is aggressive to iron pipe. With modern GIS software, both large and small utilities have a tool they can use to collect and analyze data. But, information on potable water systems is sometimes hard to come by. It is difficult to look inside potable water lines because they carry drinking water under pressure. Intruding into pressure pipelines that carry water that people drink is more involved than looking inside a gravity sewer pipeline. Plus, there aren?t any ?smart pigs? currently available that reliably report existing wall thickness, and the devices that might be used today are sometimes impractical economically, especially for the analysis of distribution systems given the amount of pipe involved. So, water utilities, especially when interested in the condition of their distribution systems, must find other ways. 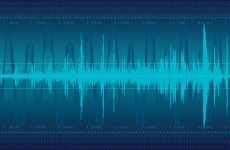 Break records and customer complaint information are often used to help evaluate areas within a system, but there may be additional sources of information that can be useful as well. Water distribution pipelines, in particular, are exposed for tapping purposes at various locations throughout the system, often on a daily basis. More could be done at repair locations to help build a database of information that can be useful. With such opportunities to look at exposed pipes, there are opportunities to evaluate the overall condition of the pipeline at that location and to obtain soil samples and pipe coupons for corrosion evaluations. An inspection of the physical condition of the surface of the exposed pipe could be added to an evaluation of a coupon that may be removed during a tapping operation, for example; and that information augmented with soil corrosivity tests to correlate observations. Over time, such information builds into a database that could be very useful in predicting where future problems might be expected. If problems are caught early enough, there may be steps to take that extend the life of a pipeline without the kind of expenditures involved with replacements. Internal corrosion problems related to iron pipe have been virtually removed from consideration by the use of the cement-mortar linings found in modern ductile iron pipelines. Covered by the ANSI/AWWA C104/A21.4 standard, cement-mortar linings have been used for decades to protect the inside wall of iron pipe from the effects of tuberculation of aggressive waters. The Ductile Iron Pipe Research Association (DIPRA) has conducted flow tests on dozens of such pipelines at locations all over the United States and on pipes of varying ages, up to and including pipe with more than 70 years of service, that have demonstrated that cement-mortar linings provide improved flow characteristics over unlined water pipes and that those flow characteristics are maintained over time. The average Hazen-Williams C factor found in field tests of existing cement-mortar lined cast and ductile iron pipelines was 140. However, as noted before, many existing iron pipelines were installed either before cement-mortar lining was available or before that lining came into standard usage for ductile iron water pipe. The first sign of problems from such pipes may be from customer complaints about the quality of the water they use to drink or wash clothes. There may also be signs of deterioration of flow characteristics. Where such older pipes are found to be a problem, they can be cleaned out and often lined in-place with cement-mortar or other lining materials. For today?s modern ductile iron pipelines, the main issue with which to contend is external corrosion resulting from aggressive soils. DIPRA has researched this subject extensively for some 80 years. We know there are ways to reliably assess the aggressiveness of a soil to gray or ductile iron pipe. This information can be used to identify areas of a system where unprotected pipe might be expected to have a shortened service life ? and where to investigate to obtain first-hand knowledge of the condition of pipes in those areas. As a result, there are models that can be used to evaluate soils to determine the likelihood that an existing pipeline is subject to the effects of corrosion, or to help determine the limits to which aggressive environments may exist so that judgments may be made regarding the extent to which rehabilitation or replacement would be required. Such information can also be used to help determine the most economic corrosion control that should be used to protect future pipelines. In 2004, the results of a cooperative effort between DIPRA and Corrpro Companies, the largest corrosion consultant in the world, were announced. The Design Decision Model is a risk-matrix that balances the likelihood of corrosion occurring at a given location against the consequences of a corrosion-related failure. The result is a corrosion mitigation recommendation that intends to provide a minimum service life of 100 years to the ductile iron pipeline being installed. This system can be used to evaluate the entire route of a proposed pipeline and to recommend the necessary corrosion control needed at various stretches along the route. Often, mitigation involves polyethylene encasement, with and without the augmentation of cathodic protection. Polyethylene encasement was first installed in a water system in southern Louisiana in 1958. That pipeline, in Lafourche Parish, has been investigated numerous times over the years, including in 2008, the year of its 50th anniversary of service. 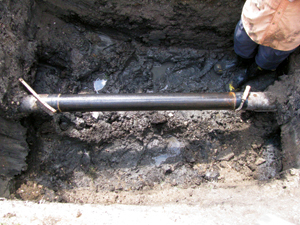 In every investigation of this main, the pipe has been found to be in excellent condition, even though the soil surrounding it is aggressive. Similar results have been found on pipelines in excess of 40 years old in Sterling, Colo., Chicago, Ill., and Latham, N.Y. Properly installed in accordance with ANSI/AWWA C105/A21.5, polyethylene encasement provides effective, economical corrosion control. Proper installation is key, but more than 100 investigations of polyethylene encased cast and ductile iron pipe over the years have proven its value. Literally hundreds of millions of feet of ductile and gray cast iron pipe have been provided with polyethylene encasement as the only means of corrosion control. There are standards for its use all over the world. The record of service of those pipelines has been remarkable, especially considering the aggressive soils into which many of those pipelines were placed. Iron pipe has an impressive track record of service that can be pointed to as a goal for future ductile iron pipelines. Its strength and durability, added to installation and operational advantages, are among the impressive reasons for its popularity. Much of that service has resulted using technologies that are less advanced that those we have today. We can use what we have learned over the years in combination with newer technologies to help prioritize the work that needs to be done on the existing iron infrastructure, and to ensure that the ductile iron water pipelines installed today provide the good, long service that we have come to expect from iron pipe. Gregg Horn is president of the Ductile Iron Pipe Research Association (DIPRA), which is based in Birmingham, Ala. He is a registered professional engineer and a NACE Certified Corrosion Specialist. He received a bachelor of science degree in civil engineering from the University of Kentucky and has 31 years of experience, including seven years with an environmental consulting firm and 24 years with DIPRA. He is a member of AWWA, WEF, ASCE and NACE International.